Hello, Nicole! 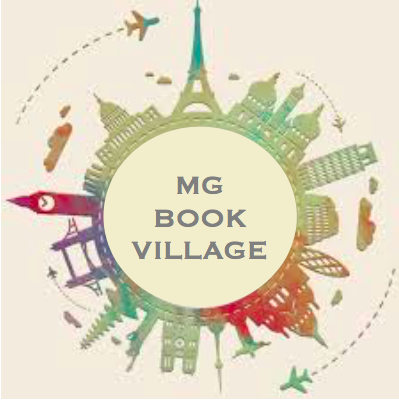 Welcome to the MG Book Village, and thank you so much for hosting your cover reveal here. We’re very excited! Before we get to all of that, though, would you care to introduce yourself to our readers? Sure! Thank you for having me on the blog. My name is Nicole Valentine and I’m a children’s book author, educator and technologist. I have an MFA in Writing from VCFA and I’ve been teaching writing at The Highlights Foundation for seven years. I was the Chief Technology Officer of several internet start-ups, my first being Sally Ride’s Space.com and my last being Figment.com, a website for teens to share their own writing (purchased and re-branded by Penguin/Random). I love all things science, but you can find me writing about that fascinatingly fuzzy area where science and magic meet. I live outside of Philadelphia with my human family and all the animals: our two dogs Merlin and Arthur, and our cats, Pickwick and Tink. One day we would like to add a falcon or hawk to the mix. Whoa — those are some SOLID pet names. Bravo. Now, moving onto the book: can you tell us a bit about A TIME TRAVELER’S THEORY OF RELATIVITY? The novel is your debut, correct? It is and I’m so happy it will soon be in the hands of kids. It’s about a very practical, science-loving boy who discovers all the women in his family can time travel. I have been fascinated with time travel since I was a child and this story explores not just the adventurous side of being able to travel in time, but all the emotional and moral conflicts that would arise. I describe it as A Time Traveler’s Wife meets Tuck Everlasting. While there is plenty of page-turning adventure inside, it is also a heartfelt story about family and loss. Twelve-year-old Finn is used to people in his family disappearing. His twin sister, Faith, drowned when they were three years old. A few months ago, his mom abandoned him and his dad with no explanation. He clings to the concrete facts in his physics books and to his best friend, Gabi to cope with his sadness. But when his grandmother tells him the family secret: that all the women in their family are Travelers, he realizes he has to put his trust in something bigger than logic to save his Mom. It sounds excellent. Have you always enjoyed science fiction? Yes, but I didn’t always realize it was science fiction. The kind of sci-fi I loved was very close to magical realism and fantasy, and what we now call speculative. I was in love with Madeleine L’Engle’s Wrinkle in Time (I still think Charles Wallace is the most fascinating character in all of children’s literature). I devoured all of Ray Bradbury’s stories and would take his books out of the library and keep them so long that I had to take a job at the library to avoid late fees. I fell hard for the subtle realism of Jack Finney’s Time and Again and read it over and over. I was deeply moved by the short stories of Charles DeLint and soon became an Ursula LeGuin devotee. I think my first introduction to the fact that I was reading sci-fi was when my uncle gave me his old issues of Omni Magazine and my favorite authors were inside. I have to credit both Omni and William Gibson with steering me towards a career in both writing and technology from a young age. Did you know the word cyberspace first appeared in Omni Magazine? I didn’t know any other teenage girls who were reading Omni and it was obvious that I wasn’t the intended demographic as a thirteen-year old girl, but it didn’t stop me. It’s funny how I can look back now and identify all the influences that steered my life. Why do you think you are drawn to writing science fiction, particularly for young readers? I can’t think of a better genre for kids in our current world. They have far more stress to cope with than we did and science fiction is a unique coping tool. Recently I’ve been reading about the psychology of awe and have delved much deeper into what captured my own young mind and why. I was twelve when my father suddenly passed away and like most children dealing with grief, I desperately wanted everything to return to normal. Being the grand thinker that I was, I dove headfirst into books about time travel. It seemed like the most logical solution: go back in time and warn my father about his undiagnosed heart problem. I didn’t discover how to time travel in the stacks of the New City Library, but I did discover awe in those pages. They filled me with wonder and gave me hope. Psychologists are just now beginning to study the emotion of awe and its benefits on the human brain and body. Subjects in psychological studies report a feeling of having more time available, increased generosity, and decreased aggression. Awe both generates empathy and combats stress in an empirical way. I know it was awe that saved me as a child. We need more books that bring hope through inspiring wonder. That’s fascinating, and I relate to that a lot as a science fiction-lover myself. Okay, onto the main reason you’re here: your cover. Were you at all involved in the process? I was given several sketches to look at early on. I’m afraid I wasn’t much help in the elimination process because I loved them all! I don’t know why, but I was surprised to find secret tells in the art that came from deep within my text. Alice Brereton took a nuanced, careful approach and I couldn’t be more grateful. What did you think when you first saw the cover? When I saw the full-color final choice I was blown away. I think I had to sit down. It’s a big moment seeing your book come bursting into reality in full color like that. It’s the perfect cover for this book. It captures all the magic and wonder I wanted and more. All right — let’s see it! Wow! It’s gorgeous. I love all the detail and different textures. I cannot wait to get my hands on it on October 1st! Where can readers learn more about you and your work? You can find me at nicolevalentinebooks.com where you can also sign up for my quarterly newsletter. You can also find me blogging at steaMG.org – an alliance of middle grade authors working to bring more sci-fi and science-inspired fiction to the shelves. I’m on twitter at @nicoleva and my book is available for pre-order now at Indiebound and Amazon. Nicole writes science fiction and magical realism for middle graders. She follows awe wherever it leads her. In her past life, she was a Chief Technology Officer for various internet start-ups. She began her career at CNN, moved on to work with Sally Ride at Space.com, and then helped found Figment.com, a website for teens to share their own writing. She has a Masters in Writing from Vermont College of Fine Arts and teaches writing at the Highlights Foundation. Home is just outside of Philadelphia where she lives with her human family, two large dogs named Merlin and Arthur, and two small cats named Tink and Pickwick. You can find her and subscribe to her newsletter at www.nicolevalentinebooks.com and on Twitter at @nicoleva.